I was recently told about a sketch class that was being held locally, once a week. Open to the public, one only had to pay a small fee to sttend. 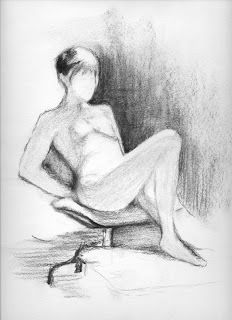 For those of you not familiar, a "sketch class" is a chance for artists or anyone to get together and sketch a model in an impromptu set of poses. The poses vary in length, and are usually short, not being longer than a few hours. It is an excellent opportunity to hone one's skills, experiment with technique, and try to stay loose. The first time I went, I was pleasantly surprised to find the overall level of the class to be very similar to what was offered in Florence. 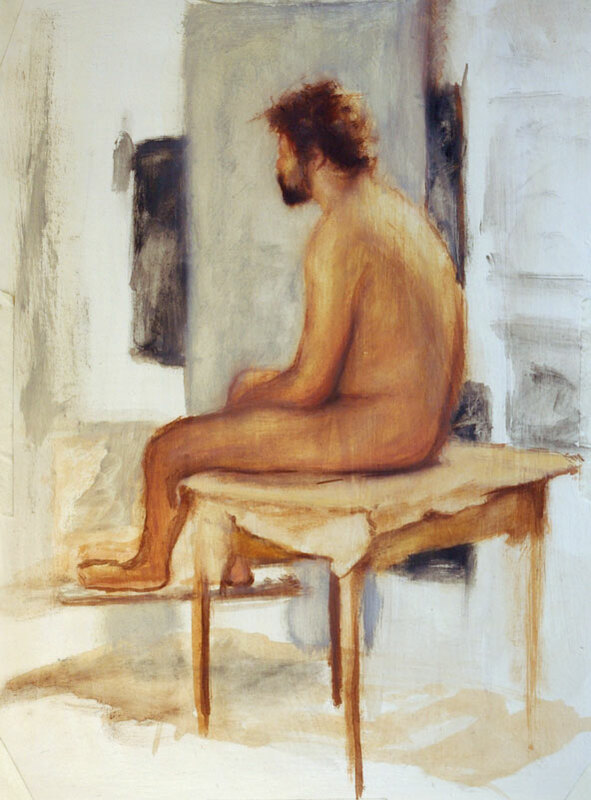 I havent done much figurative work for awhile, but familiar feelings arose almost immediately. The same general mistakes I used to make back in my art school years, resurfaced. I only had a few hours to work, so I had to try to correct these problems quickly and get a complete statement down on paper that was effective. It was an excellent challenge. 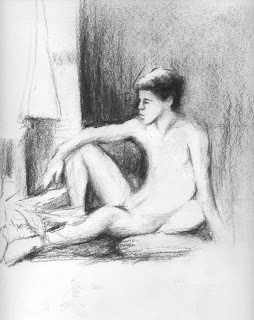 These sketches were mostly done in charcoal. I even tried doing an oil sketch, painting directly on paper, coated with real gesso.